Welcome to monark-equip.com! 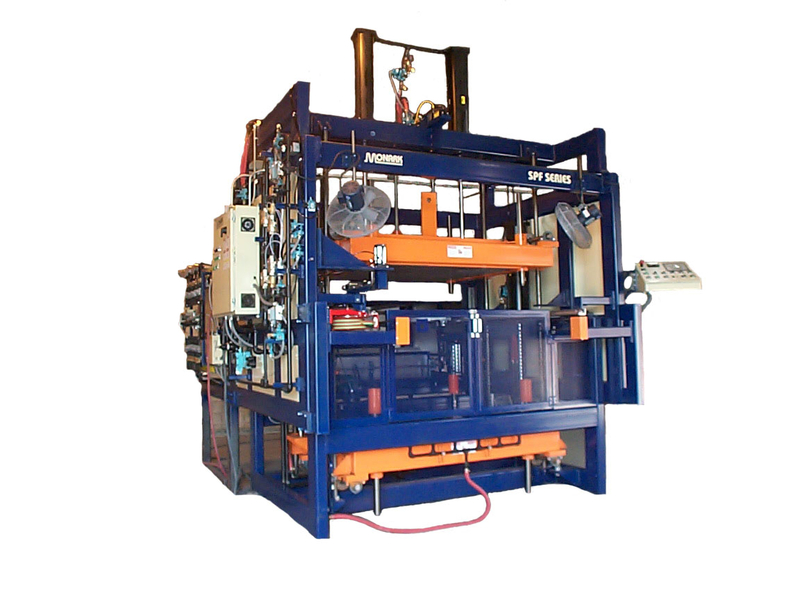 With more than 20 years’ experience in the plastics industry, we manufacture thermoforming machines that can be designed and exclusively engineered. Monark has been shaping the thermoforming industry by leading the way in custom thermoforming designs. We’re not just forming parts; we’re forming Solutions! Let us build one for you with our high-quality products and services. Contact us today to get started! Thermoforming is one of the oldest methods of shaping plastics into useful products originally referred to as vacuum forming. Thermally formed goods can be found all around in packaging and the products themselves. The process involves heating a sheet of plastic until it approaches the point of melting and then introducing it to a form or mold. Vacuum pressure draws the hot material against the mold to take on its shape; hence the terms vacuum forming and thermal forming. 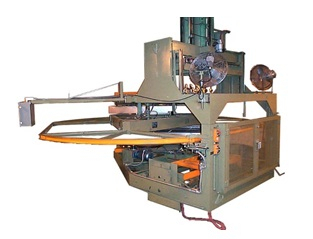 There are two major types of modern thermoforming: Cut-Sheet and Roll-Fed. A technician places a plastic sheet into the machine and it automatically slides into an oven (much like the one in your kitchen). Then, the hot plastic is introduced to a pressured mold, then vacuum pressure is applied to tightly bind the plastic into the mold. After some cooling time, the part is released and that’s it! You now have a thermal formed finished prototype or small production. Plastic rolls, or drums, are common to be used on production machines. The plastic is fed into a hot oven where it is heated melting point. It then feeds out where it groups over the waiting mold. Vacuum pressure is applied, sucking the hot material into the tool and a plug assist drops down to further aid in the forming of the product. The tool stays closed momentarily to allow the product to cool. Then, it is released and another hot sheet takes its place. The trim station automatically trims each part with a sharpened die. The parts can then be automatically stacked, counted, and weighed. The boxes are ready to be palletized and shipped off to the consumer. The leftover plastics can be ground and reused. The forming process can take anywhere from 10 to 30 seconds depending on the type of part being formed. Heavy-gauge forming is for larger products such as material handling pallets or bathtub liners. Heavy-gauge material can be a half an inch thick or larger, causing heavy gauge operation’s production time being longer and requiring additional steps compared to thin gauge thermoforming. The thicker material is heated up almost to the point of melting which can take up to five minutes or more before making it to the mold. Monark is dedicated to providing high-quality, modular thermoforming equipment and automated machine tools for any product design and use-case. We approach every idea with a can-do attitude and with our team of highly-skilled engineers, we’ve succeeded every time delivering equipment that does exactly what was intended from the start. 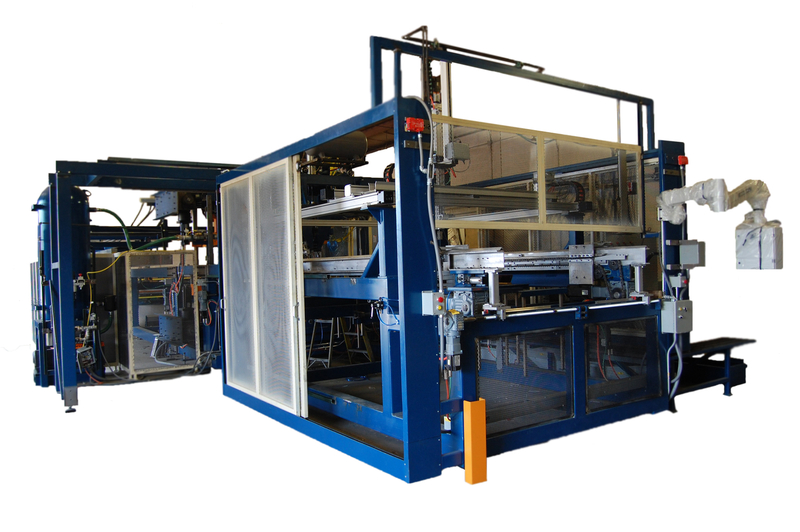 Monark provides the flexibility options unlike other thermoforming equipment producers. We allow our customers to work with our design professionals on color schemes, control options, additional features, and more! Our happy customers have pushed us to continue to providing top-level satisfaction for the past 20+ years. No problem! Monark is the only company in the industry to upgrade, retrofit, service, and support ANY make and model thermoforming machine. If you’d rather upgrade to a newer system or model, we’ll even take your old one on trade. If you need a conversion on your model, we would be happy to assist. If you missed an opportunity to customize your equipment’s design, let us rebuild your machine to your specifications. 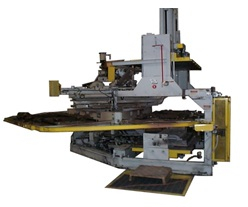 Our rebuilt machines frequently end up “better than original”! Thermoforming can be a great solution for your production needs as Monark welcomes new clients who have an idea but don’t yet have the design clearly laid out. The product can start out with something as simple as a sketch and is translated into a complete engineered drawing by Monark’s in-house team of engineers using state-of-the-art software. Because the designs are done in-house, there’s a short turnaround time from concept to completion. Once the design has been approved, it heads into prototype production. A proud American-owned company with headquarters, engineering, and manufacturing in Auburn, Michigan as well as an auxiliary manufacturing facility in Australia. With hundreds of Monark systems operating continuously around the world, we staff a first-class Support and Service Department.